(CNS): The teenager accused of killing Asher McGaw in East End lastSeptember will not be offering any evidence in his own defence following the presentation of the crown’s case against him. Since his arrest, Chakane Jameile Scott has remained silent in the face of the accusations which are based on evidence given by teen witness, Antascio Rankine, who says he was there when Scott shot McGaw. The three men, who, the court heard, were all friends since childhood, were, according to the crown, in the grounds of the East End Clinic letting off a flare gun when Scott turned a revolver on Rankine and shot his friend three times in the head and body. The crown closed its case against the teenager Friday, and although heavily based on Rankine’s eyewitness statements, the crown said it was bolstered by the evidence of the pathologist. The expert’s report on McGaw’s wounds concurred with Rankine’s account that he had heard three shots and seen Scott stand over McGaw and shoot his friend at close range after he had fallen over. Defence attorney Sasha Wass confirmed that her client would not be testifying and the court adjourned until Tuesday, when the two lawyers will offer their closing arguments to the judge before he retires to decide the verdict. Justice Alex Henderson is hearing the case alone without a jury. McGaw’s body was found in the early hours of 22 September by local police officers on routine patrol in John McLean drive a few yards from the clinic car park. McGaw had received multiple wounds to the head and body. The police had first assumed the killing was a gang related shooting, coming during a period of frightening gang violence in which four young men had already been shot and killed and a fourth seriously injured in West Bay and George Town. 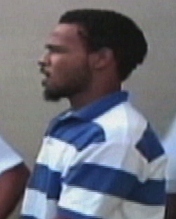 However, it was not until sometime later that Rankine told police what he had seen, indicating the murder was between friends and not gang rivals. The crown has offered no motive for the killing and no weapon has been recovered. Although other witnesses spotted the three boys together on the night of the killing, supporting Rankine’s account, there were no other witnesses or forensic evidence linking Scott to the shooting. Although the teenager is one of the first people to be tried for murder following the change in the law regarding the caution given by police, he has opted to remain silent throughout. The court heard that the senior investigating officer had issued the new police caution to the teen on his arrest, which warns suspects that if they don’t say anything when interviewed by the police during the investigation but then come to court and present a defence, that could be harmful to their case and allow a judge or jury to draw an negative inference.